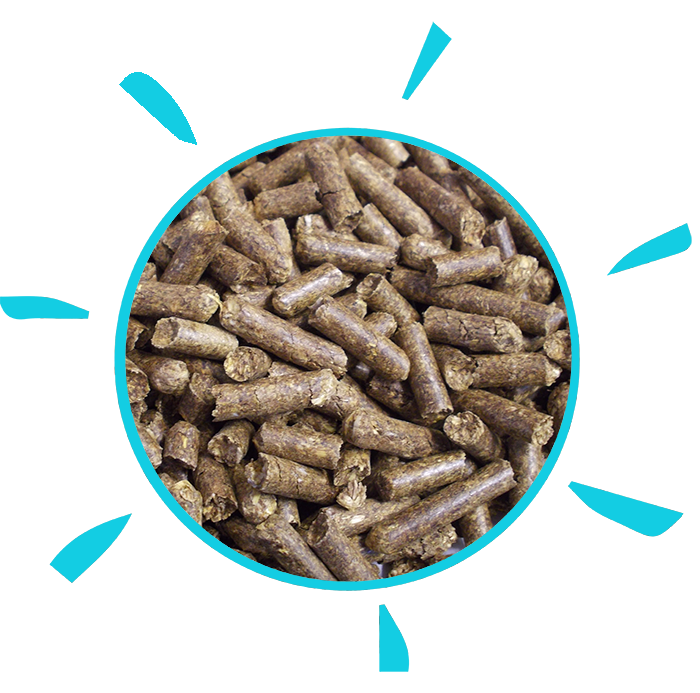 Clean dry wheat straw is selected for this product. 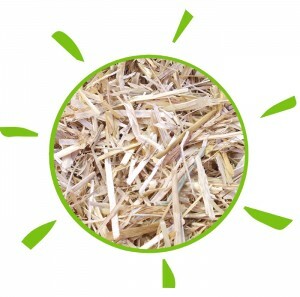 Best quality straw is selected for this product. 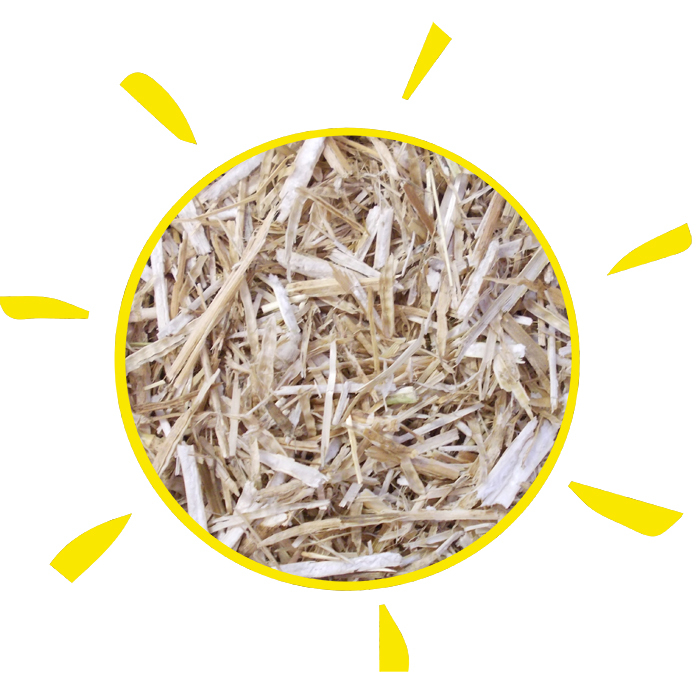 It is chopped, dedusted and treated to prevent mould and spore growth before being baled. 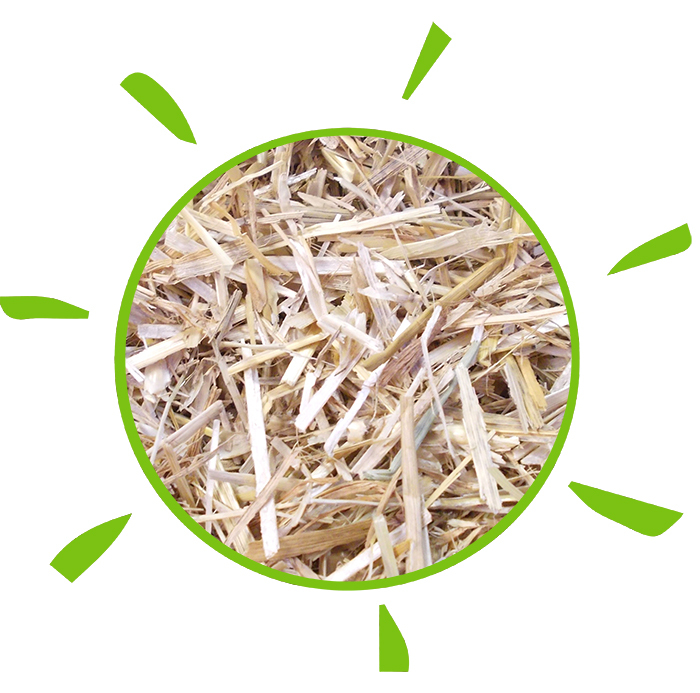 Sundown Green is regularly tested by a DEFRA approved laboratory. This is an economical type of bedding and proves to be a very popular product. Finely chopped and double dedusted straw. Fine chopped suitable for day old to fully grown. End product breaks down easily. Quick, easy to spread and top up.